UFC welterweight Martin Kampmann training out of Xtreme Couture MMA has a vitally important fight with Rick Story coming up this weekend at UFC 139. Kampmann has dropped two bouts in a row and a third loss would be a setback in his quest for a title shot. If you are in Vegas and looking for a free place to watch UFC 139, come to Xtreme Couture MMA. No cover, No Cost, just a night of great fights. The UFC announced late Monday that Xtreme Couture fighter, Martin Kampmann , has stepped out of his UFC on Versus 4 fight against John Howard with an injury. To compensate, Matt Brown moves up the card to face Howard, and Brown’s original opponent, Rich Attonito, will now face Daniel Roberts. The UFC did not disclose the nature of Kampmann’s injury. Just last week, the card’s main event, between Anthony Johnson and Nate Marquardt, had to change when Johnson pulled out with an injury. Marquardt, dropping from middleweight to make his welterweight debut, now faces Rick Story, who just 10 days ago upset Thiago Alves at UFC 130. UFC on Versus 4 takes place at the Consol Energy Center in Pittsburgh on June 26. 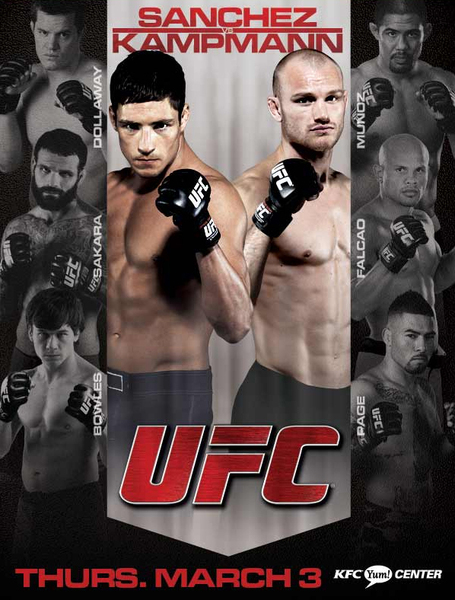 The main card airs live on the Versus cable channel, part of a four-fight deal the UFC has with Versus for 2011. Versus previously was the home of the WEC, which was folded into the UFC at the start of this year. Kampmann was looking to get back in the win column after a pair of decision losses – both controversial – to Jake Shields and Diego Sanchez. Shields beat Kampmann by split decision at UFC 121 last October to get a shot at Georges St-Pierre’s welterweight title. In March, at UFC on Versus 3, Kampmann lost a unanimous decision to Diego Sanchez – though many believe Kampmann won the fight, and FightMetric’s stats indicate Kampmann did more damage. Brown has lost three straight, all by submission, to Ricardo Almeida, Chris Lytle and Brian Foster. Howard has lost two in a row, to Jake Ellenberger and Alves, after a 4-0 start to his UFC career. Attonito also drops down from middleweight to welterweight for the first time. He is coming off a loss to Dave Branch at the TUF 12 Finale in December. Roberts had his three-fight streak stopped by Claude Patrick at UFC 129 in April. With just four bouts on the main card on Versus, the event will tie a UFC record for most preliminary card fights on one show with eight. UFC 103, in September 2009, was the first card in the promotion’s history with 13 fights – eight of which were prelims. That was also the first time a pair of prelims aired live on Spike TV. Though not yet announced by the UFC, some of all of the UFC on Versus 4 prelims could wind up on Facebook. All of the UFC’s events since January’s Fight for the Troops 2 show have included preliminary fights streaming for free on the social networking site. Including this Saturday’s UFC 131 pay-per-view, the last four have aired each fight on the card with a combination of Facebook, Spike and pay-per-views. For the third main event of the year , the UFC the judges have rendered yet another controversial outcome. A “unanimous” decision win for Sanchez. Martin Kampmann vs. Diego Sanchez last night was a war plan and simple. Kampmann destroyed Diego’s face which closely resembled Dr. Hannibal Lecters left overs, but still did not impress the judges with his precision striking, takedown defense throughout the fight. The fight did earn a $60,000 Fight of the Night bonuses for both fighters. Below are comments pulled from twitter from our Pro Team here at Xtreme Couture MMA on how they saw the fight. No one was more disappointed following UFC 121 last October than Martin Kampmann. Kampmann faced off against former Strikeforce middleweight champion Jake Shields, who was making his UFC debut and needed just one win to earn a title shot against welterweight champion Georges St. Pierre. However, Kampmann proved to be an incredible challenge for Shields, just barely losing on the judges’ scorecards by split decision. Yet as imprssive as his performance was, Kampmann took the loss hard, understanding whole-heartedly what a win in that position would have done for him in a welterweight division desperate for contenders. The fact that he completely believes that he could have and should have won that fight made it all the more disappointing. Regardless of his opinion on the Shields fight, Kampmann says that it is now in the past and that he must look forward to the future set before him by the UFC. Right now, the Kampmann’s future involves an intriguing match up with former lightweight top contender Diego Sanchez in the main event of UFC on Versus 3. Sanchez, who has recently disposed of his nickname “Nightmare” and insists he has permanently exiled himself from the 155 lb. division, explained in the media call last week that he has refocused and done away with the negativity in his life. The news does not faze Kampmann, however, as he has been training for the most focused and best Sanchez he could possibly imagine. Kampmann enters this contest on a one-fight losing streak after winning four of his last five contests. Meanwhile, Sanchez’s victory over Paulo Thiago at UFC 121 snapped a two-fight losing streak and has him back to his winning ways. Still, regardless of each fighter’s last contest, Kampmann is still widely regarded as the better welterweight due to what he has done in the division in recent history. Though he may come into this contest as a favorite, he has never been one to disregard an opponent and ignore the potential threats. The case remains the same when looking at the threats and problems a man like Sanchez can pose in the cage when the Octagon door is closed. Sanchez may be undergoing changes, but one thing that has always been constant with him is his exhilarating style of fighting. Just look back on his fight against Clay Guida in 2009 and you will understand exactly what he is all about. Similarly, Kampmann has never been one to go out looking to grind away at his opponent in hopes of earning a decision. And that is why the Xtreme Couture product is confident that this main event will go above and beyond any expectations. 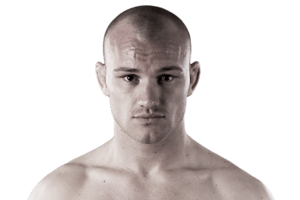 Kampmann’s concern for putting on an exciting fight is certainly admirable, especially in the eyes of the fans who want nothing more than a riveting main event on March 3. But a bigger picture awaits him if he should walk away a winner. Long struggling to break through into the absolute elite group of welterweights, Kampmann is granted an opportunity against Sanchez to catapult himself back into the 170 lb. title mix, which is exactly where he wants to be. But Kampmann is not one to worry about title shots. His focus is, and always has been, on winning fights and letting everything else fall into place. Through 11 fights in the UFC, Xtreme Couture’s Martin Kampmann has picked up a lot of victories a lot of different ways, but now he’s ready to try out a new one. As he trained for his fight against Diego Sanchez in the main event of UFC on Versus 3 in Louisville, Ky., this week, Kampmann learned a valuable lesson from his last fight that he wants to carry into this one. Kampmann lost a razor close decision to current top contender Jake Shields last year. He blames himself for the outcome, and promises it will never happen again. “I did a lot of mistakes in that fight. I think I could of won it, and it was basically giving it away, through my mistakes. I was trying to hard to submit him and I should have just stuck to punching him in the face instead,” Kampmann told MMAWeekly Radio recently. He comes from a diverse background learning both kickboxing and grappling. In his early days with the UFC, he was pegged primarily as a striker, but with four submission victories out of his eight wins in the UFC, he’s ready to knock someone out. While he continuously works in all areas of the game, Kampmann loves wrestling and jiu-jitsu, but he believes it’s high time to put his fist in someone’s face and watch them crash to the canvas. Still, coming into a match-up with a fighter of Diego Sanchez’s abilities, and knowing that he has a diverse wrestling and submission background, Kampmann tells him not to sleep on his own ground game. “I’ve trained submission wrestling for a long time as well, but I kind of got labeled as a striker when I first got into the UFC, even though I spent a lot of time in submission wrestling as well. For some reason people are underestimating my ground game always, but I think I have a pretty decent ground game,” Kampmann commented. When the fight is over, he doesn’t seem to care much how he gets his hand raised, as long as it’s his hand being raised. He does admit however that putting someone away on the feet would feel really good right about now. If Kampmann’s strategy comes to fruition, he believes he’ll walk out of Kentucky with a win on his record. One thing he won’t do however is celebrate the way his opponent does. The Ultimate Fighting Championships’ Kentucky debut now is official. As MMAjunkie.com (www.mmajunkie.com) first reported this past month and officials today formally announced, “UFC on Versus 3: Sanchez vs. Kampann” takes place March 3 at the KFC Yum! Center in Louisville. The Versus-televised event features co-headliners of Diego Sanchez (22-4 MMA, 11-4 UFC) vs. Martin Kampmann (17-4 MMA, 8-3 UFC) and Mark Munoz (9-2 MMA, 4-2 UFC) vs. C.B. Dollaway (11-2 MMA, 5-2 UFC). The event’s main card airs live on Versus. It’s the first of four 2011 shows expected to air on the cable station. The KFC Yum! Center hosts a variety of sporting and entertainment events and is the primary home of the University of Louisville’s mens and women’s basketball teams. The arena holds up to 22,000 fans, though it’s likely that a smaller seating configuration would be used with a UFC event. Tickets for the event go on sale next week. All the other fighters made weight for the card. 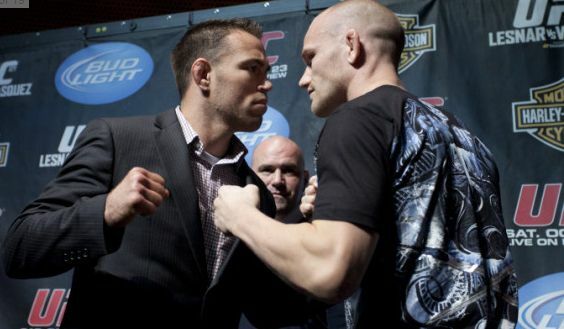 Martin Kampmann looks to again take another critical step forward in the 170lb division against Jake Shields. Another Xtreme Couture fighter Gabriel Gonzaga takes on Brendan Schaub. Members of Xtreme Couture MMA can watch UFC 121 free of charge at the gym. Doors open at 6pm.